The son of Ghous Pak‎ (رحمتہ اللہ علیہ), Hazrat Saif-ud-din Abdul Wahab‎ (رحمتہ اللہ علیہ), was born on the 17th Shahban 512 Hijri in between the two evening prayers Maghrib and Isha. In eleven years he acquired and completed all the worldly and spiritual knowledge from Ghous Pak‎(رحمتہ اللہ علیہ) and started teaching himself later. His followers are also called Sabri. His Urs is celebrated by millions of people every year in Kaliyar. He spent many years of his life with Baba Fareed‎ (رحمتہ اللہ علیہ) and got religious and spiritual aspiration from Baba Fareed‎ (رحمتہ اللہ علیہ). Then Baba Fareed Masood Ganje Shakar‎ (رحمتہ اللہ علیہ)appointed him Khalifa(Successor) and sent him to Kaliyar (An Indian city situated in the province of Uttarakhand). At that time the King was Ala-ud-Din Khilji. His person was the source of many Miracles. 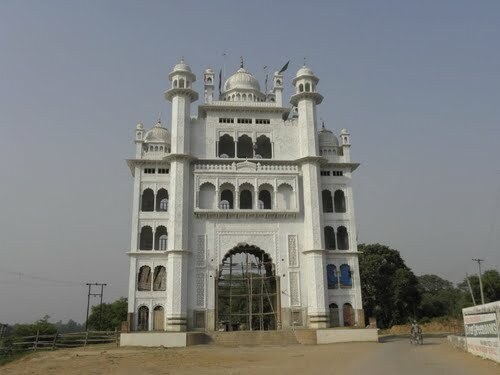 His tomb is also known as “Piran-e-Kaliyar Sharif” stands at Kaliyar besides the Ganges River and seven kilometers from “Roorkee”. His shrine is the central spiritual point and source of blessings for Saints, Successors, Followers and people of all over the world. This order is known as “Chisti Sabri Order” by his reference and relation. The Silsila Chishtia Sabria: The Chishti Sabri Order The order (Silsila-e-wala`et) started from Hazrat Ali Haider-e-Kar’rar ‎(رضي الله عنه) and then this spiritual order continued through Khawaja Hasan Basri‎ (رحمتہ اللہ علیہ). This spiritual order further came to Chisht (name of a town) through successors of Khawaja Hasan Basri‎ (رحمتہ اللہ علیہ). Khawaja Abu Ishaq Shami Chishti‎(رحمتہ اللہ علیہ) was one of the saints of this order and also head of the Chishti Order. He was also called “Sar-e-Chishtian”. 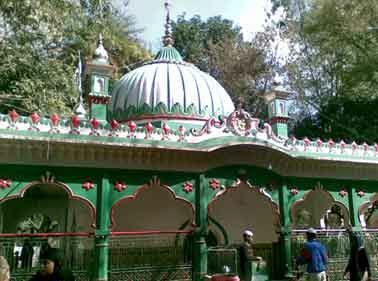 Khawaja Abu Ishaq Shami Chishti‎ (رحمتہ اللہ علیہ) belonged to a town “Chisht” and called Chishti because of it. After many stages and through famous saints this Chisti Order reached a great saint Khawaja Moen-ud-Din Hasan Chishti Ajmeri‎ (رحمتہ اللہ علیہ)and his successors Khawaja Qutab-ud-Din Bukhtiar Kaki Aoshi‎ (رحمتہ اللہ علیہ) and Baba Fareed-ud-Din Masood Ganje Shakar‎ (رحمتہ اللہ علیہ) of Pak Pattan Sharif. This Chishti Sabri Order and its blessings reached to Hazrat Pir Saidan Shah Sabri‎ (رحمتہ اللہ علیہ)of Kalas Sharif near Malikwal, District Sargodha (Pakistan) through Syed Mardan Ali Shah Chishti Sabri‎ (رحمتہ اللہ علیہ), who was a successor of Syed Ahmed Shah‎ (رحمتہ اللہ علیہ). Darbar Sabri Kalas Sharif is spreading the blessings and spirituality of Chishti Sabri Order to its followers and people. Pir Saidan Shah Sabri‎ (رحمتہ اللہ علیہ) and his son Pir Gulzar Hussain Shah Sabri‎ (رحمتہ اللہ علیہ) continued the mission of Hazrat Makhdum Sabir Pak. They spent their whole life to complete this mission. The present Pir Shamim Sabir Sabri (Saint of Darbar Sabri Kalas Sharif), the son of Pir Gulzar Hussain Shah Sabri‎ (رحمتہ اللہ علیہ) is spreading the spiritual graces of the Chishti Sabri Order to the lovers of Makhdum Sabir Piya. In fact “Kalas Sharif” is attached directly to “Kaliyar Sharif” and is a sacred place for the grace and blessings of Makhdum Sabir Piya. Most of the time Sufi-Saints who teaches there disciple the lesson and the meaning of Fana and Ba’qa the story or the example comes from the clear incident of Hazrat Sabir Piya‎ (رحمتہ اللہ علیہ). The story or the example of Fana (Extinction, Annihilation) and Ba’qa (Eternal life in union with Allah) is explained with example of Hazrat Sabir Pak‎ (رحمتہ اللہ علیہ) because of his death incident. Before he died he commanded his disciples that when he (Sabir Piya) dies no one should touch his body. No one will give burial bath and no one will bury him, but they (disciples) should wait until a man will come riding on horse in white color clothes and he shall give bath to his body, before that no one should touch the body least they shall die. On his funeral day, it happened in the same way he commanded the disciples remains questioned who is that person who will give him a burial bath etc. thinking they did not do anything. After an hour the people there his congregations who have been appointed for his funeral they heard a sound of horse coming and within few minutes they saw there was a person in white clothing and he was on horse. The horse man came down and took the dead body of Hazrat Sabir Piya‎ (رحمتہ اللہ علیہ) and went inside a cottage and took some water and gave him the burial bath, everyone was shocked and puzzled who is he and what is going on inside the cottage. After a while he alone brings the dead body out and started making rows for offering his burial prayer and after reciting the prayer he then buried his dead body and was ready to leave. At that moment of Sabir's disciple stopped him and asked, "Who are you oh lucky person, who gave bath to our master, please show us your face", but that horse man doesn't agree on showing his face, remaining adamant about it they asked again. So the horse man removes his curtain over the face and the congregation saw, it was none other but Sabir Piya‎(رحمتہ اللہ علیہ) himself. They asked "Hazrat what is this", then Hazrat Sabir Piya‎ (رحمتہ اللہ علیہ)replied and taught them the meaning of the question Fana and Ba’qa, that what you just saw the body that’s (Fana) it has to be layer with soil again and it shall perish, but this what you see now is (Ba’qa) never perishing the spirit, spirit that Allah gave me which came from heaven and saying this he disappeared. So this was the answer to the question that one of his disciples asked him one day what is the meaning of Fana and Ba’qa so he fulfilled it and showed them the meaning on his funeral. 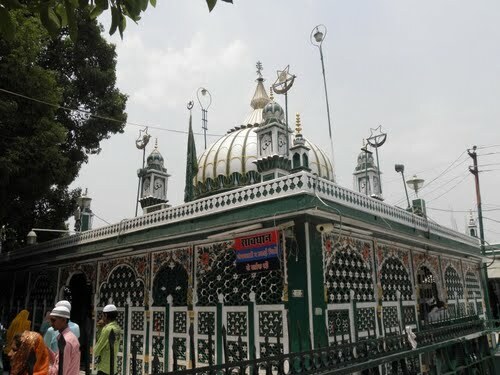 Dargah of IMAM SAHAB must be visited before visiting the Mazar of Sabir Paak, The mazaars of Imam Sahab and Hazrat Qil qilaShah baba is just 15 mins by Rickshaw from the mazaar of Sabir Paak. From this day onwards, Kaliyar Sharif became a famous pilgrim spot. Qutbe-Alam built Baba Sabir’s grave and a mosque at Kaliyar and visited it every month. Today Qutbe-Alam’s descendant, Shah Mansoor Aijaz Sabri is the religious head of Kaliyar Sharif. 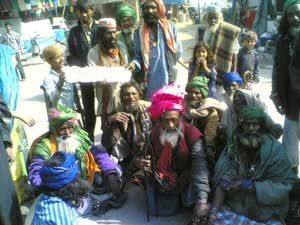 Hazrat Shah Sabir Piya Kaliyari and distributed among the people absoultly free of any charges . SubhanAllah . One day, a man saw Sabir crying in his room. When the man asked him the reason, Sabir said: “ Today, God has broken my bonds with the world and told me that from now onwards only divine men shall meet me.” After that day, nobody ever dared to go near Sabir. Sabir Pak reached Kaliyar Sharif in 1253 A D. At Kaliyar, he stayed in the house of an old woman called Gulzadi. Soon his fame spread all over Kaliyar. Sabir started preaching the natives of Kaliyar about God and religion. He prayed day and night and had so much aura around him that people from far and near came to see him. The Qazi of Kaliyar Sharif, Tabrak, became so jealous that he began to poison people against him. Tabrak even spoke ill about Sabir to Rayees-e- Kaliyar (a rich and influential man). Rayees-e-Kaliyar decided to resolve this matter with Sabir on a Jume Raat (Thursday evening). This Water canal runs from Roorkee to Mosurie passing through Roorkee, in the picture you can see the Under construction gate of Dargah Hazrat Imam Sahab. 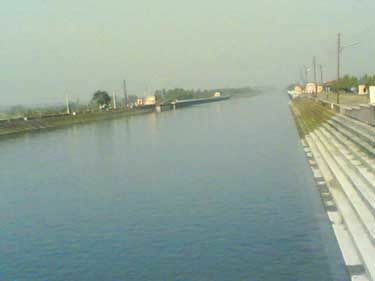 Kaliyar Sharif at Roorkee is about 5 km along the canal from the market premises. Roorkee is approximately 160 km north of Delhi. By Rail: Shatabdi Express from Delhi to Dehradun via Saharanpur. By Road: Delhi via Meerut and Muzzafarnagar to Roorkee. 1) Hazrat Imam Abu Saleh Muhammed Saheed Ka Rooza. toward North. 2) Hazrat Kalki Sha Saheb Saheed Ka Rooza. toward South. 3) Hazrat Peer Ghaib Ali Sha Mardanalishah Saheed Ka Mazar Sheriff. 4). Hazrat Baba Charaam Pous Wali ye Kamil. 5) Hazrat Aleemallah Abdal Ka Mazar Sheriff. 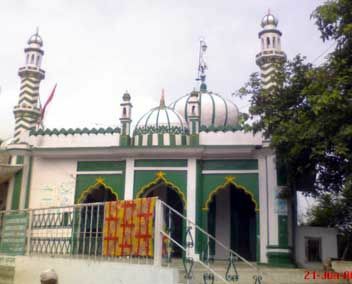 Saheb Ka Mazar Sheriff , who is peer a kamil of Hazrat Chirag Ali Sha.